Are we allowed to drink alcohol on an Auckland Party Bus? Not to put a damper on things but there is a full liquor ban in place in Auckland. If a party bus isn’t licensed and you get caught drinking while you are on it, you are the one who gets hit with a fine, not the bus company. This could be as much as $350 per person so it’s really not worth it. If you are under age and caught drinking on a party bus that IS licensed, you will be asked to leave and you could be fined as well if police are involved. Either way, your fun night out could potentially end up a nightmare for you and your family and friends if the liquor rules are breached. So, if you don’t want any grief from the liquor police, you are 18+ and you want to drink, dance and ride you literally need to be on the rock. ‘The Rock’ is one of our fully licensed Party Buses which comes with your own personal host /bar manager, whose job it is to make sure you have the night of your life right down to the drinks selection, your individual music needs and lighting. Our LED Lighting allows you to select a colour to fit with the mood of your event, plus we have disco and laser lighting on board. The dance floor is huge as far as party buses go so you can kick up your heels and really let your hair down, while having fun on the dancing pole. Yes, that’s right, with this super strong pole, you can show off your pole dancing skills right there on the bus. That’s what we call leading edge entertainment! If you are looking for something special and that little bit different, come aboard ‘The Rock’. You can have a simple price per person with no shocking surprises at the end of the night with your bar tab when you choose a party where drinks are included! Amstel Light, Heineken, Vodka Cruiser Ice, Jim Beam RTD comprise our house drink selection and at only $6 per bottle you can’t go wrong. 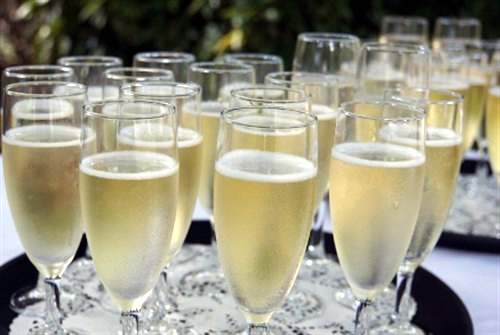 Wines and bubbly can also be included, the choice is yours.